Handy help bars in upgraded bathroom | A.B.E. Remodeling, INC. 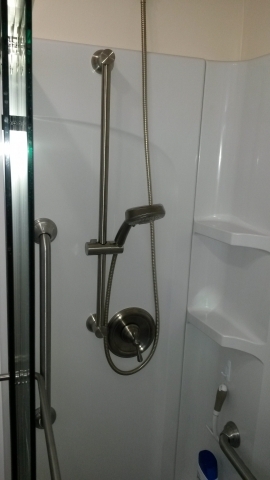 Here we have an updated bathroom set up with a little extra help to the homeowners. 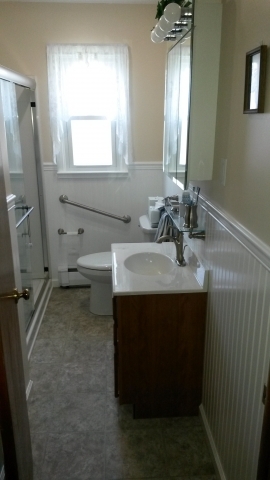 When remodeling this bathroom we installed the handy grab bars. 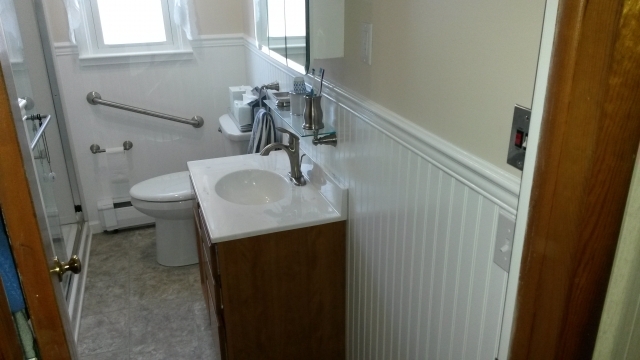 As you review pictures of bathrooms we've done, you can see that we can upgrade any size. Some are smaller and some are larger. We work with folks on what the dream results. Give us a call. We'd like to "meet" you.